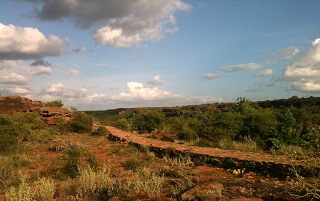 A fun untimed run on a rocky trail in this North Karnataka town amidst a 6th century fort and sandstone cave temples. It's your very own temple run! JUST AN OVERNIGHT TRIP AWAY! One of our most scenic of run routes - the off-road trails traverse cave temples with views of rocky landscapes stretching far into the horizon. And sometimes, if you're lucky, you might spot a rainbow like we did on one of our route recces! Running in Badami with us this October? 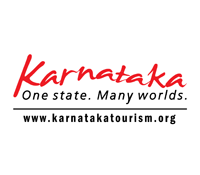 Let us take care of your hotels, travel and local sightseeing in Badami as well as the World Heritage Site of Pattadakal next door. Stay tuned for details closer to registration launch. 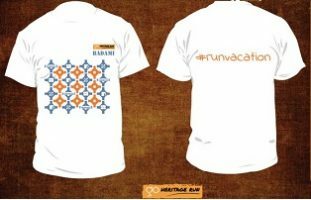 The Badami run T-shirt this time around is inspired by all things Badami - rock-cut cave temples, sandstone rock cliffs, Kasuti embroidery pattern and rock climbers. The early temples in Badami and Pattadakal attract tourists and heritage enthusiasts all the year round. 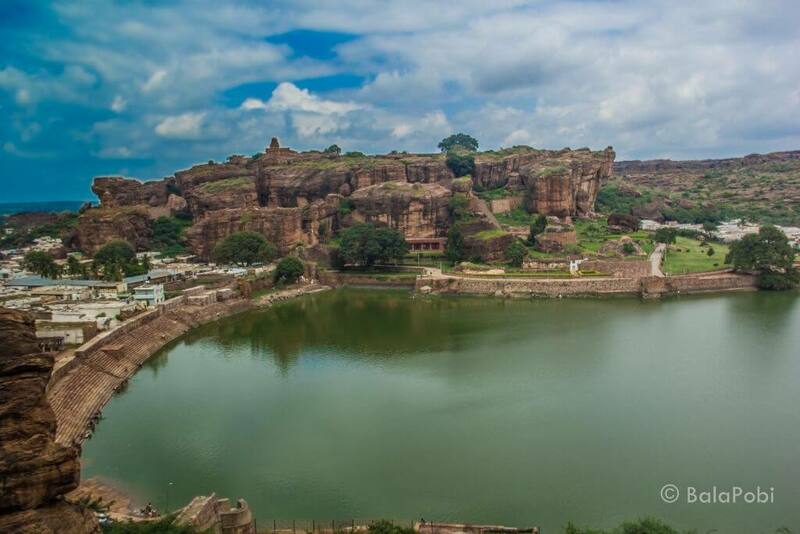 But did you know Badami also sees visitors who come for an entirely different reason? 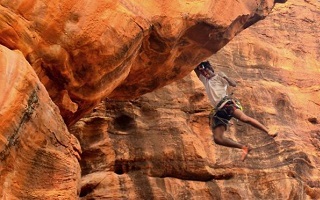 Read about the climbing scene in Badami and much more below. 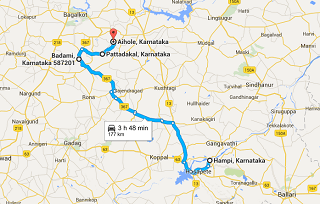 Hampi and Pattadakal are two World Heritage Sites situated hours away from each other - and both near Badami. So if you're in the region, we recommend visiting all three over the course of a couple of days. There are around a hundred and fifty bolted routes in Badami - which makes it not just the climbing capital of India but also a safe haven. Read more. 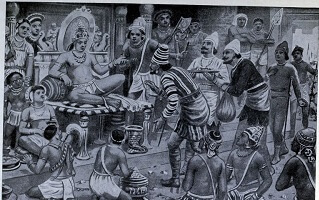 However great it might have been, the Battle of Vatapi (present day Badami) has hardly found mention in the history books today. But it is a tale that needs to be told. Renowned for art and architecture, the quiet villages of Badami, Aihole and Pattadakal house rich history from our past. Read why Aihole is famously termed the ‘Cradle of Hindu Rock Architecture’. 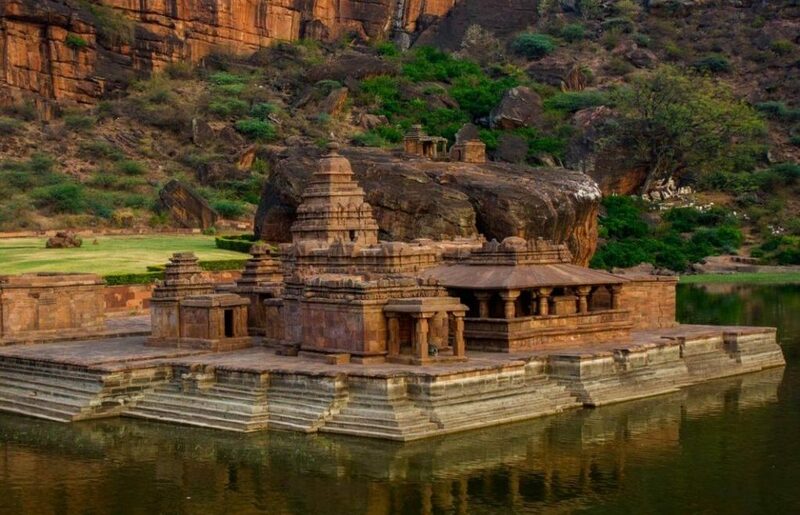 A beautiful lake, 4 storied rock cut temples, blue skies and huge rock faces - Badami is a treat to the eyes after the monsoons. 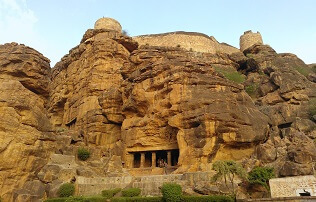 See for yourself in these pictures by Bala from his travel to Badami on GoUNESCO. With across India, Go Heritage Runs are the best travel plan for you! See the runs planned and announced on our calendar.